HIS & HERS Energy Efficiency blog about energy efficiency and building performance industry. Impacting several buildings a year is great, but using technology to scale residential energy retrofits is what is drastically needed to solve our building energy crisis. Since utilities and implementation contractors aren’t exactly on the cutting-edge of innovation to streamline residential energy efficiency projects, why haven’t tech and building savvy start-ups jumped at the glaring opportunity to drive residential EE with data? 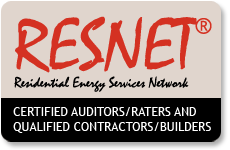 When an Energy Audit isn't an Energy Audit. The utility provided assessments and amazing rebates and financing offerings serve many homeowners well. Yet for homeowners wanting to significantly change their homes- address ice damming, solve comfort issues, or achieve 25-50% energy savings- these services are not appropriate. A more detailed assessment approach is needed to identify improvements and communicate to the customer the value of investing in comprehensive solutions.